Reverend Canon Vivien Elphick has been installed as an Honorary Canon of Leicester Cathedral on September 11th 2016. Vivien, Team Rector of the Woodfield Team which comprises the churches of Appleby Magna, Donisthorpe, Measham, Normanton le Heath, Nortan Juxta Twycross,Packington, Snarestone and Swepstone, expressed delight at the honour which she feels reflects upon the communities of North West Leicestershire. At the service in Leicester Cathedral, Bishop Martyn said Canons are people who are invited to bring their wisdom and skills to the Cathedral to help it fulfil its mission in the community. Canons came from different backgrounds and brought the breadth of their experience from the wider Diocese to inspire and encourage. Vivien, who was ordained 26 years ago, moved from Norfolk to North West Leicestershire 10 years ago to be team rector of the newly created Woodfield Team. This involved helping the eight churches grow together from individual parishes into the team that exists today. Vivien is based at Measham. 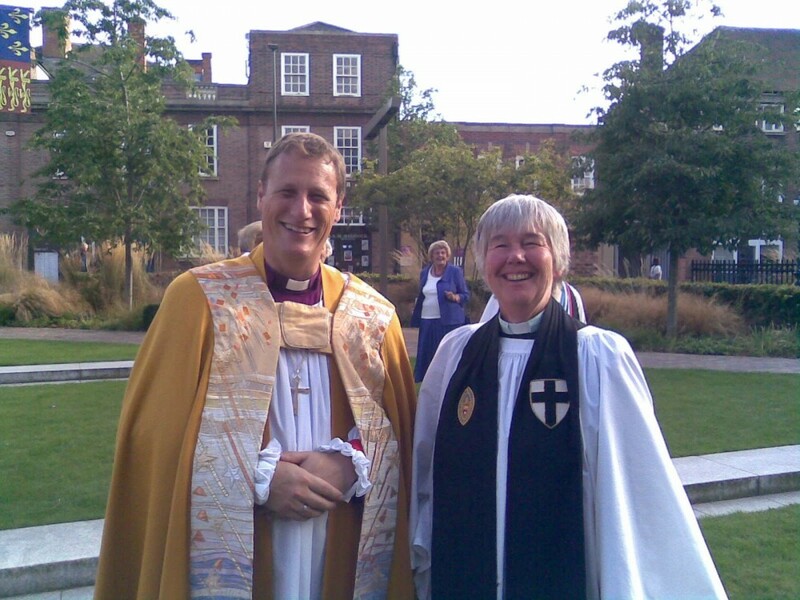 Five years ago she became Area Dean which covers the Coalville and Ashby areas. During this time she has been responsible for churches which have been waiting to appoint a priest and has care of the clergy and retired clergy living in the area. She has also been responsible for a number of building projects where her background as a lawyer has been particularly helpful. Spare time is spent walking with her rescue dog Bran.